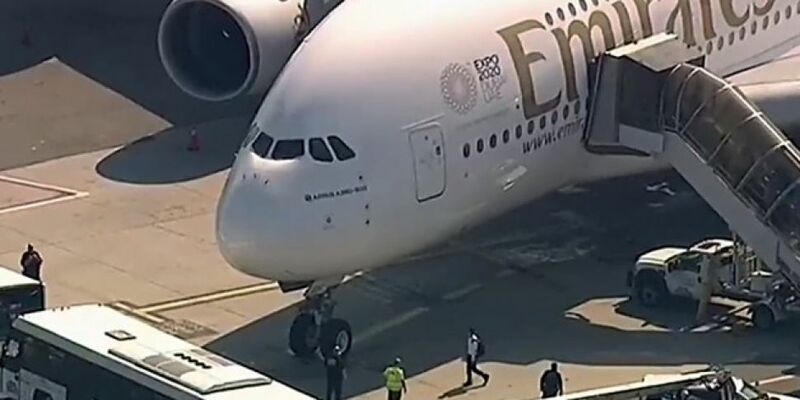 Emirates has confirmed that a number of passengers have fallen ill on a flight from Dubai to New York. Emergency services responded after the plane landed at JFK Airport at around 9am local time. The pilot on Emirates Flight 203 reported to have raised concerns that some passengers were sick with fevers and coughing. Although local media reports suggested as many as 100 passengers could have become ill, the airline itself put the number of sick at 10. More than 520 people were on board the plane. Medical officials were checking passengers' temperatures as they disembarked from the plane one-by-one. A spokesperson for the New York mayor's office said that there's currently an outbreak of the flu in Mecca, where some passengers had come from. He said that's being investigated as a possible cause of the sickness.